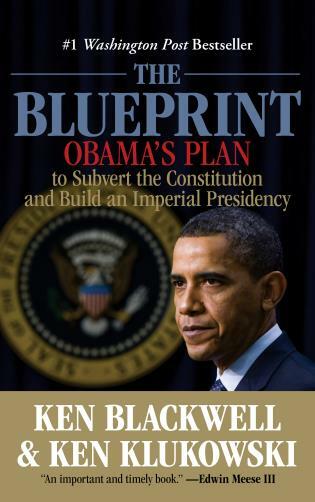 From noted conservative leader Ken Blackwell and Washington, D.C.-based constitutional attorney and journalist Ken Klukowski comes an urgently needed book about President Barack Obama's blueprint to centralize power in the White House, subvert the Constitution, and transform the United States of America into a militant, secular welfare state dominated by an overbearing central government. The authors identify and discuss more than twenty tactics being taken by the Obama administration to restructure the country and ensure perpetual liberal rule—such as changing voting laws, politicizing the census, coercing corporations into adopting its policies, planning to destroy talk radio, and seeking to make millions of illegal aliens into voting citizens. By means both sharp and subtle, President Obama aims to change Americans' views about government, liberty, and even God. · Czars: The authors show how Obama is installing a shadow government of radical appointees not subject to Senate confirmation and answerable to no one but him. · Courts: The authors have insider knowledge of how Obama will pack the Supreme Court and lower courts with activist judges who will overstep their constitutional authority. · When Lawmaking becomes Lawbreaking: The authors reveal the ways Obama is consolidating lawmaking power in the White House, in direct violation of our nation's separation of powers. · Changing the American Identity: The authors show how Obama is using unconstitutional tactics to change how we conduct commerce, how we vote, our right to bear arms, and the free-speech rights of opposition voices. Ken Blackwell is the Senior Fellow for Family Empowerment at the Family Research Council. He serves on the board of directors for the Club for Growth, National Rifle Association, and the National Taxpayers Union. Blackwell is a contributing editor for Townhall.com, and his columns frequently appear in the Washington Times, New York Post, American Thinker, National Review Online, and FoxNews.com. Ken Blackwell is one of the nation's leading conservative voices, an advocate for free markets, economic opportunity and social values. In 2006, he became the first African-American in Ohio history to be a major party nominee for governor. In 2004, the American Conservative Union and the Ashbrook Center for Public Affairs honored Blackwell with the John M. Ashbrook Award for his steadfast conservative leadership. Past recipients of that award include President Ronald Reagan, Ambassador Jeane Kirkpatrick, and Charlton Heston. Blackwell's public service includes serving as mayor of Cincinnati, undersecretary at the U.S. Department of Housing and Urban Development, Co-Chairman of the U.S. Census Monitoring Board, Vice Chairman of the RNC Platform Committee, and U.S. Ambassador to the U.N. Human Rights Commission. In 1994, he became the first African-American elected to a statewide office in Ohio when he was elected state treasurer, after which he also was elected to two terms as secretary of state. Ken Klukowski is a constitutional lawyer and journalist whose work is regularly published by FoxNews.com, the Washington Examiner, and Townhall.com, as well as some of America's most influential newspapers. He is a fellow and senior legal analyst with the American Civil Rights Union. A published scholar on constitutional issues, Klukowski has filed briefs in the United States Supreme Court on cases relating to First Amendment religious liberty and the Second Amendment right to keep and bear arms. He lives with his wife Amanda and their young children.